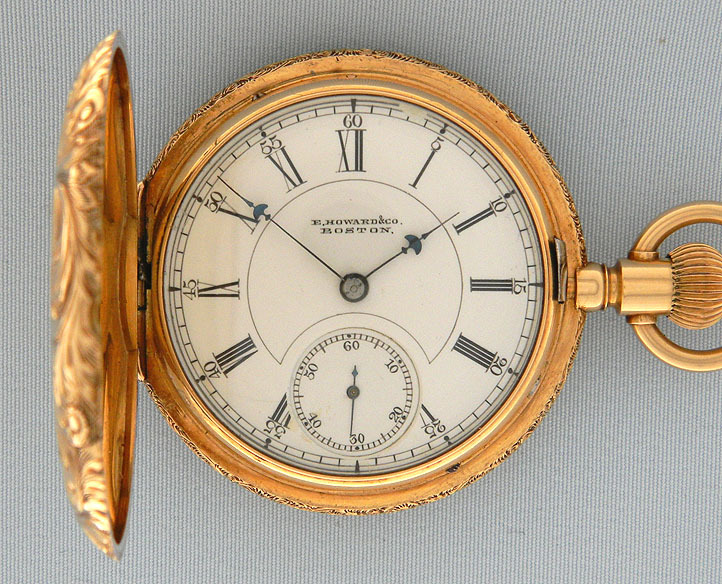 Fine and handsome Howard midsize 18K gold G size antique pocket watch circa 1891. 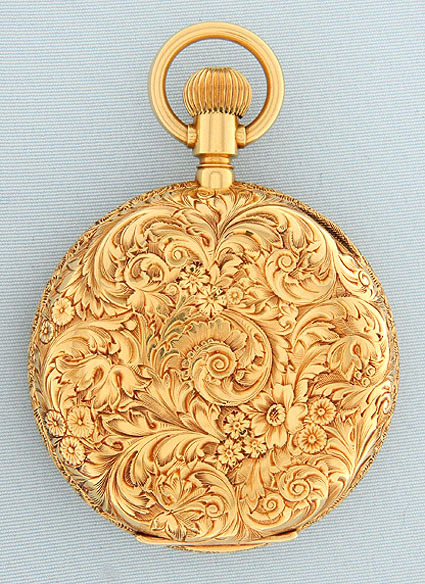 The particularly handsome original JS case decorated overall with deep floral engravings. White enamel dial (edge repair) with black markings and blued steel Howard umbrella hands. 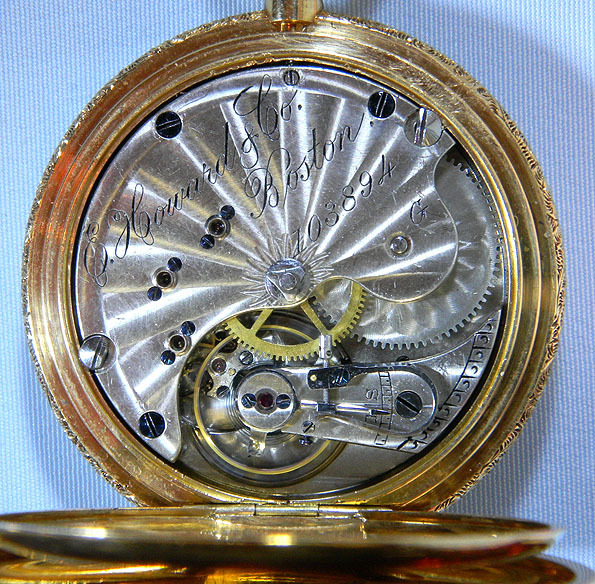 Nickel damascened 15 jewel movement with challenging setting. 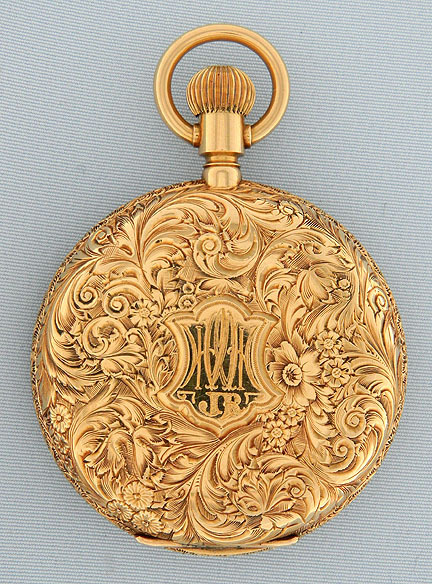 Jeannot & Shiebler, with 'J' superimposed over an 'S' 18K and 14K trade marks was a well-respected manufacturer of solid gold watch cases in New York City.